As we begin a new year in the Academic Senate, and my last as its chair, I have been reflecting on how to engage more faculty in Senate service. To do so, I realized that I had to articulate why I serve. I began my committee work in 1995, and have been working on various committees, in various capacities, continuously since that time. I know that I chose to serve because I wanted to have a positive impact on the lives of the University community, faculty, staff and students, and on the health and welfare of the University as a whole. But is this a realistic goal? Does my service actually have any impact? * Can my service lead to positive change? The answer to all of these questions is “yes,” and it is because of the unique model of “shared governance” that exists within the University of California. Shared governance has allowed the various committees, task forces and councils of the Senate to achieve remarkable gains for the faculty, and the University as a whole, during the years I’ve been engaged. Here are a few examples of the many accomplishments: the Committee on Education Policy has assisted on major advances in distance learning and interprofessional education; the Committee on Library and Scholarly Communication has led UC’s achievements toward open access; the Committee on Academic Planning and Budget, and subsequently the new Committee on Space, have had a major impact on space planning, governance and management across the campus; the Committee on Research has altered conflict of interest policy as it pertains to the complex worlds of clinical trials and industry affiliations; the Committee on Faculty Welfare has initiated many policies and programs to benefit the lives of the faculty and have ensured the continuation of other policies like retiree health benefits; the Committee on Academic Personnel has reviewed hundreds of faculty packets yearly for promotions and special merits, and has undertaken several initiatives in support of the advancement of and diversity contributions of UCSF faculty; and on and on. The University of California was founded by the Organic Act on March 23, 1868. Those of you who are numerate realize that this means that 2018 is the sesquicentennial of the University. As an aside, go to 150.universityofcalifornia.edu, to learn about the 150 years of the University of California, and consider attending the upcoming Academic Senate symposium in Oakland at the end of October. The Organic Act was actually made possible by the signing of the first Morrill Act by President Abraham Lincoln on July 2, 1862. This law gave States public lands provided that the lands be sold or used for profit and the proceeds used to establish at least one college—hence, land grant colleges—that would teach agriculture and the mechanical arts. Even more interesting, the Act was blocked in 1861, but the secession of the southern states removed much of the opposition to the Act. Who knew that the Civil War was a prime cause in the creation of the University of California as we know it today, one of the early land grant universities in the country? That the University is a land grant college is particularly important at this time, as land grant status requires the University to support and reflect the diversity of State. The name "Academic Senate" was in the text of the Organic Act but its roles were not established at that time. It was upon the retirement of Benjamin Wheeler as the President of the University of California that the “Berkeley Revolution of 1919” occurred. The Academic Senate, tired of the authoritarian ways of President Wheeler, presented a Memorial to the UC Regents, requesting a voice in the running of the University. This eventually led to the passage of a set of new Regential Standing Orders on June 24, 1920 (last amended in 2002). Those orders, 105.1 and 105.2 described the organization of the Senate and defined its duties, powers, and privileges. The Senate was directed to determine conditions for admission, certificates, and degrees, to authorize and supervise courses and curricula, to determine the membership faculties and councils, to advise on the budget, conduct, and welfare of the University, and to advise on the administration of the Library. They enshrined the shared governance of the University between the administration and the Academic Senate, under the auspices of the Regents. Clark Kerr, the president of University of California from 1958 to 1967, wrote, in the foreword to Taylor's monograph on shared governance1, "the two greatest gifts to the University of California have been the institutional autonomy given to its Board of Regents in the constitution of 1878 and the unprecedented grant of authority the board assigned to the Academic Senate in 1920. These two gifts constitute the institutional foundation for the growth in distinction of the University of California." Three other excellent articles on shared governance are listed below2-4. The modern structure of the Academic Senate was created on July 1, 1963. The Representative Assembly of the Northern Section and the Legislative Assembly of the Southern Section created a special committee in 1960, which came up with a federal model that was eventually passed by the UC Senate. In this model the north-south separation was dissolved and each campus became a separate division. The legislative body of the systemwide UC Senate is the Academic Assembly, which meets about twice yearly and votes on all bylaws and other important systemwide matters. The Academic Council is the executive body of the UC Senate, meeting monthly. It is comprised of the chair and vice-chair of the systemwide Academic Senate, the chairs of each division, and the chairs of the systemwide committees which oversee the governing roles of the Senate (such as BOARS, which creates and evaluates the minimum uniform standards of eligibility for admissions across the system) as well as the chairs of Research Policy and Affirmative Action and Diversity. There are several systemwide Standing Committees that address all aspects of University business and that report to the Academic Council. The individual divisions are structured similarly, with UCSF having many standing committees and faculty councils (senate.ucsf.edu), which report to the Executive Council. All UCSF Senate faculty are in the division Assembly, which meets one to two times per year and votes on all local bylaws and other important items. It is clear, from this history lesson of the University of California and from the actions of the Academic Senate during my years of involvement, that its faculty, through the Academic Senate, directly govern many aspects of the University and are advisory in all others. This shared governance model ensures that we faculty who serve in the Senate can affect positive change, for the benefit of the entire University community. There is no area of University life that a faculty cannot either directly or indirectly impact through Senate service. The only reason for faculty not to feel empowered would be if they decide not to serve in the Senate. Taylor, A.E. The Academic Senate of the University of California: Its Role in the Shared Governance and Operation of the University of California. Institute of Governmental Studies Press, University of California, Berkeley, 1998. Simmons, D. L. (2009). Shared Governance in the University of California: An Overview. King, J. C. (2013). Tailoring Shared Governance to the Needs and Opportunities of the Times. UC Berkeley: Center for Studies in Higher Education. Retrieved from escholarship.org. Do read this wonderfully funny book! You’ll never approach writing letters of recommendation the same. So, what about the pie? I have to thank my wife, Helen Loeser, for this choice. Just look at this homepage and there is no doubt that it is a winner (theorita.com). Named after her grandmother, Theorita is home to Angela Pinkerton’s most amazing pies. She might even be able to succeed in disproving Josh Gondelman’s tweet that “On the Great Jewish Bake-off, the judges look off into the distance after tasting each pastry and tell a story about a long-dead relative who used to make a better version.” Although I have to say, when I tasted her apple pie with a crumble crust, I thought of my mother’s version at the end of a Shabbat dinner and wondered whether it might not be quite as good … actually, it is. 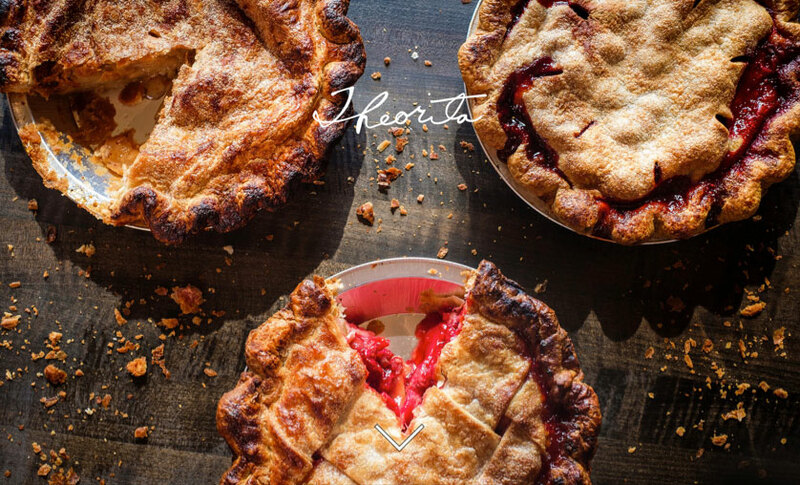 Anyway, my winner for this newsletter is her mixed berry pie. Theorita is at 834 Divisadero, just south of McAllister. Research funding and policies impacting research have always been primary concerns of the UCSF Senate and Committee on Research (COR). COR informs the Senate and advises the Chancellor of budgetary needs in support of research and research travel. It is also responsible for making recommendations regarding policy on allocation of research funds and other matters pertaining to research. COR also impacts research funding and policies by having representatives on the campus Research Advisory Board, the Office of Sponsored Research Advisory Board, and the Resource Allocation Program Executive Committee. UCSF’s research administration, infrastructure, and services help support investigators and advance health through discovery. However, the administration and faculty must respond to ever-changing legal, regulatory, and political climates that continues to present new challenges and opportunities for UCSF’s research enterprise. UCSF recently appointed a new Vice Chancellor of Research, Lindsey Criswell, MD, to lead the Office of Research. It oversees various units including Research Infrastructure and Operations; Office of Sponsored Research; Industry Contracts Division; Research Development Office; Research Resource Program; Laboratory Animal Resource Center; Environment, Health and Safety; and the Office of Clinical Research. UCSF also appointed a new Interim Chief Ethics and Compliance Officer, Brian Smith, JD, MBA, who has responsibility over UCSF’s conflict of interest program, export control program, and institutional review board. Over the last year, COR has developed and maintained strong relationships with the VCR of Research and the Interim Chief Ethics and Compliance Officer. During the next year COR will continue to work with campus leadership to advance several policy priorities that impact faculty researchers. On June 21, 2018, after two years of policy development, UC issued a new Policy on Export Control, which was designed to bring UC into compliance with federal export control laws and regulations. As violations of export control laws and regulations can result in individual liability, UCSF faculty have a stake in ensuring that UCSF maintains a local program that assures legal and regulatory compliance. UC’s “principal strategy for compliance with the U.S. export control regulations is based upon maintaining an open, fundamental research environment.” However, at present, neither UC nor UCSF have enacted an Openness in Research policy. Furthermore, the Fundamental Research Exclusion may not apply to all transactions, items, or activities, and therefore some instances may call for an export license, control plan, or other approach. The UC Policy requires campuses to create an Export Control Compliance Program that is documented. At present, UCSF is developing such a program that satisfies this mandate. It currently has an Export Control website that provides information about export control basics. That information likely will need to be revised and supplemented with additional information to ensure clarity for faculty. Moreover, the website may need to include information about procedures for an Export Control Compliance Program. The UC Policy also requires the establishment of an export control committee or workgroup comprised of various responsible offices and stakeholders. The Academic Senate can request representatives on this committee or workgroup. Another mandate is the designation of an individual as Export Control Officer (ECO). The ECO must monitor the local Export Control Compliance program, and audits of export licenses, exceptions, and control plans are required. COR is especially concerned with the impact of implementation of the UC Policy on faculty. Faculty will need to be made aware of all required training assigned by the ECO. Faculty will also need to identify potential export control issues, including issues that may need assistance from the ECO. The development and maintenance of a local Export Control Compliance Program is a significant undertaking for UCSF that may require commitment of additional resources. COR will continue to engage campus leadership to ensure that UCSF affords this important issue the attention it deserves so that faculty are fully aware of the requirements under export control regulations. In March 2018, UCOP issued Proposed Presidential Policy on Disclosure of Financial Interest and Management of Conflicts of Interest in Private Sponsors of Research and Revised APM – 028, Disclosure of Financial Interest in Private Sponsors of Research. The proposed policy was designed to give UC campuses more flexibility in their processes for reviewing disclosures of financial interest. UCSF policies on conflicts of interest are covered by Campus Administrative Policies 100-33, 100-34, and 100-35. These policies may need to be revised to reflect the changes expected from the proposed UC presidential policy. In addition, UCSF may need to create and disseminate education and training material to research faculty in order to comply with the proposed policy. During the 2017-2018 term, the Academic Senate considered Rule 11 and its impact on faculty. COR met with campus administrators and received information about the history and application the rule. Rule 11 was not a rule but one of several enumerated guidelines pertaining to conflict of interest dating back to 1994. In September 2001, the Senate established a Task Force on Conflict of Interest (TF-COI). The TF-COI reviewed the 1994 guidelines and published a report with recommendations. In particular, the TF-COI recommended eliminating Rule 11. Subsequent to the TF-COI final report, UCSF implemented Campus Administrative Policies (CAP) 100-33, 100-34, and 100-35. Although the campus policies make no reference to Rule 11, COIAC maintains that Rule 11 is still in effect. COR is currently working with the administration to examine Rule 11 to determine whether its implementation is still appropriate and necessary. As the Chancellor retains authority over the creation and interpretation of campus policies, the Senate will continue to represent to the administration the experiences of faculty adversely affected by Rule 11. The Senate will continue to track developing issues and respond to changing policies by collecting input from a diverse array of faculty and updating all faculty. COR will continue to advocate on behalf of faculty for improvements to UCSF’s research administration, infrastructure, and services. Toward that end, COR will continue to invite UCSF leaders to meet with the committee. In the last year, the University has responded in a meaningful way to UCSF’s research space needs and challenges. In August 2017, EVCP Lowenstein established the Research and Administrative Space Policy Working Group (RASP) as a temporary task force designed to address the growing sense of urgency around the efficiency of UCSF’s research and administrative space use. RASP was specifically charged with 1) recommending metrics and associated targets to objectively measure the utilization and productivity of campus research and administrative space; 2) recommending revisions to campus space policy; and 3) revising space governance structure and clarifying roles and responsibilities. The Senate actively participated in the RASP process, and has recently made extensive comments on the recently released RASP report. A bulleted summary of the comments from the Committee on Academic Planning and Budget and the Committee on Space on the RASP report is provided in the breakout box. The Committee on Academic Planning and Budget (APB) and the Committee on Space (SPC) offered the following recommendations in support of the RASP Report. APB and SPC fully endorse the use of a dashboard for quantitative econometric evaluation of research productivity and qualitative academic impact metrics in mission critical areas. Possible academic impact metrics include research and creative activity, translational science on diagnostics and treatment, UCSF’s reputation, team science, teaching and mentoring in research space, and university/community service. Administrators and faculty should agree upon appropriate weightings of quantitative and qualitative metrics for specific research programs to promote best practices in internal control, and campus diversity and inclusion. The revised Space Governance Policy should stipulate that detailed data would be used at the level of units, departments, and control points, but not at the level of individual faculty member. The Space Committee recommended that data be collected annually by administrators, with input from individual faculty members. UCSF may wish to administer a one-year pilot to refine processes for implementation of the dashboard. In making its comments, the Senate appreciates EVCP Lowenstein’s leadership in creating this task force, and lauds the work of RASP members. While the Senate feels that the RASP metrics will eventually inform space allocation policy at UCSF in the research sphere, a gap remains with respect to a holistic space policy that would also address academic space for clinicians (for non-direct patient care activities) and education space. To address this gap, in January 2018 the Senate created two specialized task forces charged with proposing core principles and making key recommendations in these spheres – the Academic Space for Clinicians Policy Task Force and the Educator and Education Space Policy Task Force. Reports from both task forces have now been released. The Senate believes that the principles laid out can inform the development of a holistic space policy that encompasses the research, teaching, and clinical missions of the University. The principles described by these two task forces are very closely-aligned. For the clinician, the Senate espouses the following in allocating administrative space: transparency, fairness, consistency, economic sustainability, strategic prioritization to align with all UCSF missions (i.e., patient care, research, education, administration/leadership, and service), thereby enabling faculty and staff success. In espousing these principles, the Academic Space for Clinicians Policy Task Force urges UCSF leaders to seek input about space design, assignment, oversight, and governance from representative clinical faculty and staff who perform non-direct patient care activities (i.e., include as members on space development, management and building governance committees). Emerging from these principles is the key recommendation that every UCSF faculty member have a private assigned office for non-direct patient care activities at their primary UCSF site, with hotel space available at any other locations where the clinician works. While 75 sf would be the minimum private office size for conducting non-patient care activities for technical and senior professional work, 90 to 100 sf is the standard private office size and would be more conducive to enabling faculty success and morale. However, a private office should not be construed as necessarily being a single room dedicated to only one person for their exclusive use. Rather, a private office refers to access to a room separated from the open office environment that ensures privacy for confidential work, sensitive discussions, and quiet reflection. It can be shared by one or more members of the faculty, but must meet the needs of those faculty members. Likewise, the Educator and Education Space Policy Task Force recommends that all four components of the academic enterprise (education, research, clinical care, and administration) be considered when assigning existing educational space and creating new space, and include appropriate input from educators throughout the entire process of design, assignment, building, furnishing, oversight, and management. Education space assignments across educational programs should consider the needs of all programs involved, and space shared across the professional schools should promote interdisciplinary educational and clinical experiences. Education space design should also be responsive, sensitive, and adaptable to evolving advances in education and pedagogy, especially with respect to technology, by assessing and mapping the potential educational activities as part of the initial design of such space. Two recommendations of importance concern the governance and scheduling of educational space. First, UCSF educators (“Education Space Liaisons”) should be included in the membership of all UCSF space design, assignment, oversight, and utilization/management committees. Second, the Senate proposes developing and instituting a unified, seamless, and transparent education space reservation/real-time use/cancellation system that crosses the campus and UCSF Health. The Senate remains committed to true shared governance with respect to space policy. For the 2018-19 academic year, the Senate is looking forward to active consultation with the senior UCSF leadership on Space issues. The Senate also maintains a number of representatives on the various campus space governance committees, including the UCSF Space Committee and the UCSF Space Management Subcommittee. More information on Space news and developments at UCSF can be found at the University’s Space@UCSF site.